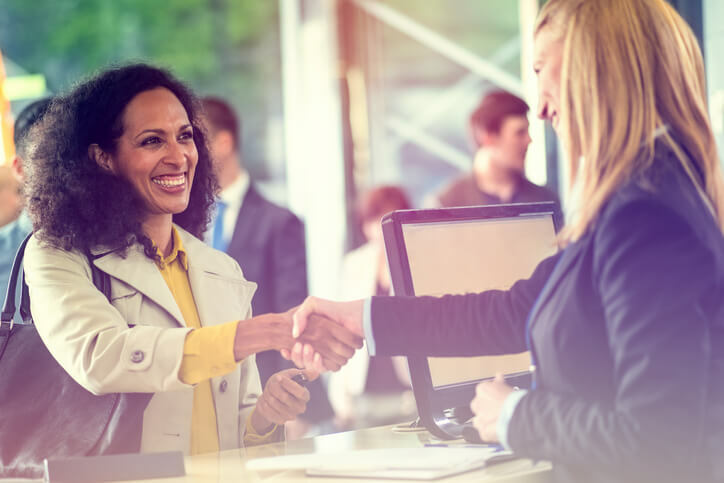 Customer loyalty can be a result of affordable pricing, outstanding experience, convenience, general satisfaction, and connection to a company. However, studies found out that only two out of these five common reasons can lead to true and long-term loyalty from a customer. These are outstanding experience and having a connection to a company. Even with the convenience of emails and chat support, many customers still prefer a phone conversation with the company’s rep. Aside from the ease of voicing out their concerns or queries, phone conversations, when handled well, can make a customer feel that he/she is valued. Phone conversations also provide that ‘personal touch’ especially if the calls are answered promptly by a real person. Handling customer calls can be a challenge especially if you have limited resources. You are more likely to hand it to someone who is not trained to do the job. This can lead to an overworked staff and dissatisfied customers. So, what can you do to maintain customer satisfaction without compromising the productivity of your employees? Get the services of a call center. When you hand the job of answering the calls to an overworked staff, your customers are more likely to receive less than stellar customer service. It would be different if you hire the services of a call center. Reputable companies like Contact One have agents who are trained specifically to do the job. Getting their services will give you a peace of mind, knowing that your customers’ calls are handled professionally. Call center agents can do more than just answering calls. They can also provide help and advice to your customers. And since these people are trained specifically to do the job, they can address your customers’ concerns promptly. Even if the solution offered is not ideal, customers who receive a prompt response from a company especially in a phone conversation yields to better customer satisfaction. Nothing’s more impressive than a company who does this 24/7. If you’re working on building customer loyalty, contracting answering services from a reputable call center company is a good start.